Within the last two days, we have seen both Samsung and LG unveil some really, really cool smartphones for 2016. 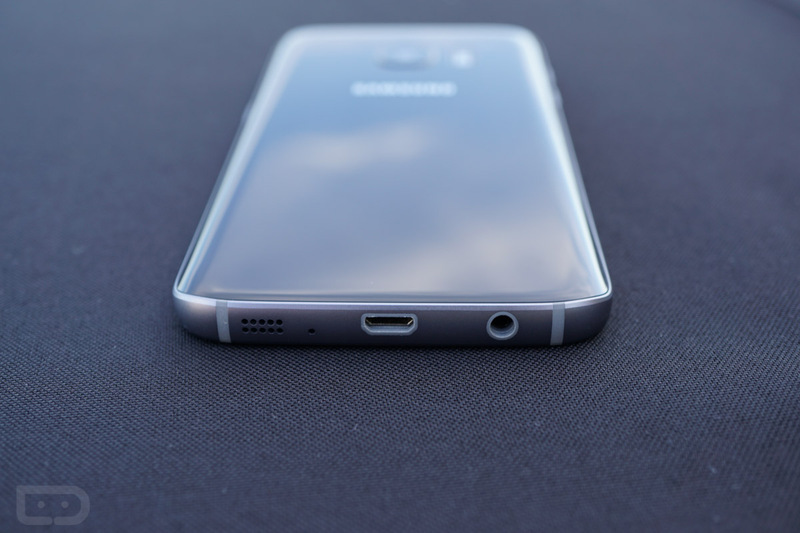 Samsung gave us the Galaxy S7 and Galaxy S7 Edge, and LG showed off the G5. Samsung’s phones will be here in a couple of weeks, while LG seems to need some more time to get everything buttoned up. All three phones are about as next-gen as you can get in terms of technology, thanks to their Snapdragon 820 processors, QHD displays, innovative camera experiences, and more. But there is one area that has already turned away potential buyers – handling of expandable storage via microSD slot. As you know, Samsung ditched the microSD slot last year, but decided to bring it back this year with support for up to 200GB of additional space. LG never ditched the SD slot and has brought it back for the G5 with support up to 2TB (!). While we are all excited to see SD support in both, each company has decided against using a feature that could really enhance the storage experience. 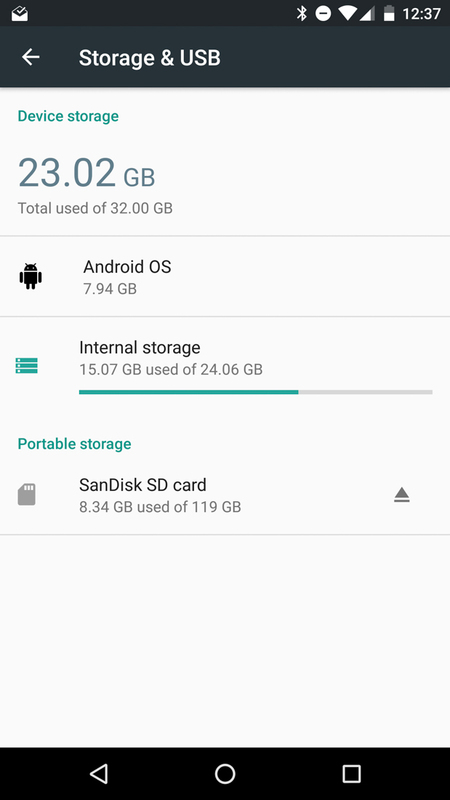 We’re talking, of course, about Android 6.0 Marshmallow’s new Adoptable Storage. This is what your storage situation would look like before adopting an SD card and then after. What are the benefits of Adoptable Storage? There are few, but most importantly, by adding an SD card’s capacity to your phone, so that it is adopted and recognized in the same as internal storage, you are giving yourself the opportunity to greatly expand your phone’s internal storage. You can then install more apps than ever. 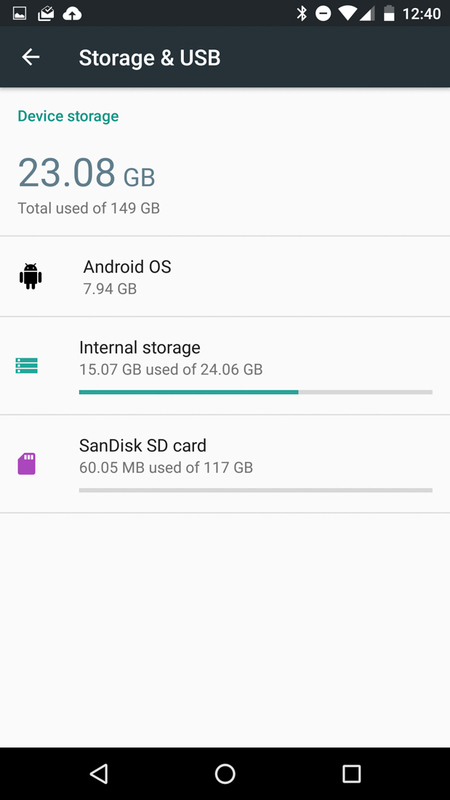 If you don’t adopt an SD card in Android 6.0, you can’t do that. You’ll still be able to keep all of your photos and videos and music collection on your SD card like you have in the past, but the apps are out. If you consider phones like the G5 or Galaxy S7 potentially using up a whole lot of internal storage to house all of their bloatware and bloated skins on top of Android, your space for app installation isn’t exactly large. The other piece I would point out is that adopting is much more secure than not adopting. With an adopted card, your phone encrypts it so that only that phone can use it. If someone were to steal your SD card and slap it into another phone, they wouldn’t get very far as it won’t mount. With a non-adopted SD card, anyone with an SD card slot can access the contents of your SD card. What’s the big deal with Samsung and LG not allowing for Adoptable Storage? I just touched on it, but the basic argument is that since all three of the phones are essentially only launching with 32GB of storage in the US, your internal storage is limited to just that without Adoptable Storage being active. LG and Samsung have used up quite a bit of internal storage in the past for their bloatware, pre-loaded apps, and skin, so it’s safe to assume that we will be stuck with a similar situation here. For example, the Galaxy S6 last year used up almost 10GB of space out of the box, before you ever installed a thing. If you owned the 32GB model, you were left with around 23GB of space to use for apps. Why would LG and Samsung do this? At this time, they are giving off the impression that they are worried about Adoptable Storage being confusing, scary, and maybe not all that user friendly (Or maybe customers just don’t want it.). They are more than likely worried that a customer will use Adoptable Storage, not knowing exactly what they are getting themselves into, and then yanking out an SD card and really screwing things up on their phone. That’s a valid concern, of course. But is it the correct move to just fully disable the option all together? We tend to lean towards it always being best to give people options or the ability to choose for themselves rather than just limiting them. NOTE: As some of have pointed it, though Samsung hasn’t said anything along these lines, another reason for not including Adoptable Storage could have to do with read/write speeds of SD cards. Internal storage is typically much faster than SD cards and Samsung or LG could be worried about there being a performance hit. Time for you to make a decision. You have lived without the option for adoptable storage up until Android 6.0 Marshmallow, so this is all pretty new territory for most of us. In the past, all we wanted was an SD card to store things like photos, videos, and music. But now that we can take that a step further, this thought of Samsung and LG denying us is a bit unsettling, especially since you can’t go out and buy say, a 128GB G5 or S7.